We are learning more details about FIFA 16, but we can also expect some major details to remain under wraps until EA’s press event in June. Right now we know that this title will be released for previous and next-gen consoles but now EA has confirmed that it won’t be releasing FIFA 16 for the PlayStation Vita and the Nintendo 3DS. That is sure to upset fans using both of those platforms, but it does happen and these consoles are in the process of falling by the wayside. Also, more bad news. If you own the Nintendo Wii U, EA Sports appears to be passing on FIFA 16 for Wii U as well. Just like it did with the previous version. A representative for EA confirmed to PocketGamer that FIFA 16 isn’t going to be released for handheld consoles, and the representative wouldn’t commit about a release for mobile devices, so we don’t have any info on that yet. 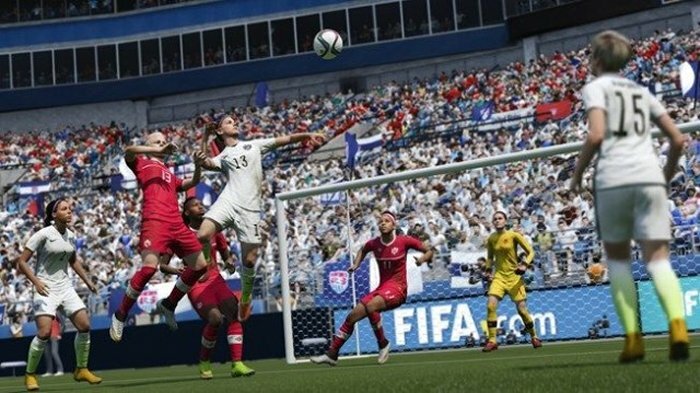 However, EA did release FIFA 15 for the PS Vita and Nintendo 3DS last year, so many fans were hoping to see the new one on their handhelds this year. FIFA 16 is going to be released for PlayStation 3, PlayStation 4, Xbox 360, Xbox One and the PC this September. This time including women’s football teams.